March Stats - 17929 Pageviews from 7442 unique visitors. Our most visited index pages, in order of popularity were: ENQUIRY - NEWSLETTERS - NEWSLETTER 135 - INDEX - CLASSIFIEDS - BUSINESSES - ACCOMMODATION - INFORMATION - NEWSLETTER 131 - ATTRACTIONS - SHOPPING - NEWSLETTER 112 - REAL ESTATE - TIRAU. Site of the Month is Jaggers and they receive a free direct click through and feature image from www.matamata-info.co.nz to their website. If you want a website that works for both people and search engine spiders, you can “spider check” your website. 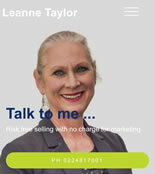 Carrying out a spider check can help you evaluate how well your website is working. As we humans have limited visibility when it comes to SEO (Search Engine Optimisation) it is important to do a test to see how “GoogleBot” and other search engine spiders view your website. 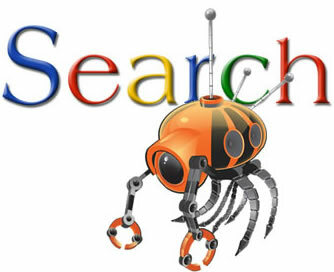 Search engine spiders are robot software that crawl your website for ranking. Google says compared to humans, "Bots access pattern is completely different" – a gross understatement that we should always keep in mind! People tend to assume Google rankings are much more automatic than they actually are due to this difference between how humans view a website and how robot search engine spiders view it for ranking. At WWW Design we spend a lot of time working out how to bridge the gap between what works for visitors to your site and the search engine spiders in order to bring traffic to your site. Search engine visitors are the most cost effective way of getting free targeted traffic to your website, so it is very important, amongst other things, to make sure that your site is regularly optimised to ensure the best search engine visibility possible. Google’s algorithms are constantly developing and updating and what worked last year, or even last month may not work now. Therefore, regularly spider checking your website is so important to see if what you thought you were communicating on the Internet is actually being seen and ranked on Google. If you haven't spider checked your website, you won’t be able to tell if it is working on the search engines. Below are a few easy ways that you can do this. Because your root domain without any slashes after the domain name is the top of your site's ladder, you always want to see your root homepage (index page) as the top result of a site:search on Google. If you don't see your homepage at the top of a site:search, there may be a problem. Most of your ranking strength is focused in your homepage where the majority of the external links to a site usually point. If your homepage is not appearing at the top of a site:search on Google, there may be a problem with the optimisation of that page and we should check it out for you and $12 + GST is all it is going to cost this month. 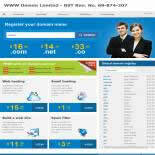 Note carefully how your homepage displays with a site:search in Google's and Bing's listings. Up to 65 characters are displayed of your homepage title in blue text at the top of your search engine listing, 150 characters of meta description appear under it - or a snippet of text from your body text that matches the keywords from a search request. Next, on Google and Bing move your cursor to the right of the search engine listing to make your "Cached" link appear. On Yahoo, the cached link appears below the listing. Note the cached date - the last time the spider returned to your site for ranking. If Google is displaying the cached date immediately then this is a positive sign. Bring up the cached version of your site and Click the "Text-only version" link in the upper right corner. many websites have major portions of their site or even the whole site disappear – this means that Google can't see your content for rankings and you should contact WWW Design immediately to correct the problem. Clicking back and forth in Google's cache between the "Full version" and "Text-only version" of your website is how you spider check your work to see if GoogleBot and visitors to your website are seeing the same thing. Google only gives you rankings for keywords it sees on your website in the "Text-only version" - unless you have links that show those keywords, so it is important that these are kept optimised. Unless you perform this test, you simply can't tell if spiders are seeing your site properly or not. When Google can't see important elements of your site as humans do, the result may be that your site is hidden rather than promoted on the Internet. If after doing this test, important elements you can see on your webpage are not visible to the GoogleBot, your content has been effectively hidden from the Internet in terms of search ranking, so you should talk to us immediately so that the problem can be remedied.